I was previously most impressed with the Inflames Toys Sun Wukong (Monkey) 1/6th scale figure in their new Journey to the West line. The build quality was exceptional, and right up there with the best of Hot Toys and Sideshow. 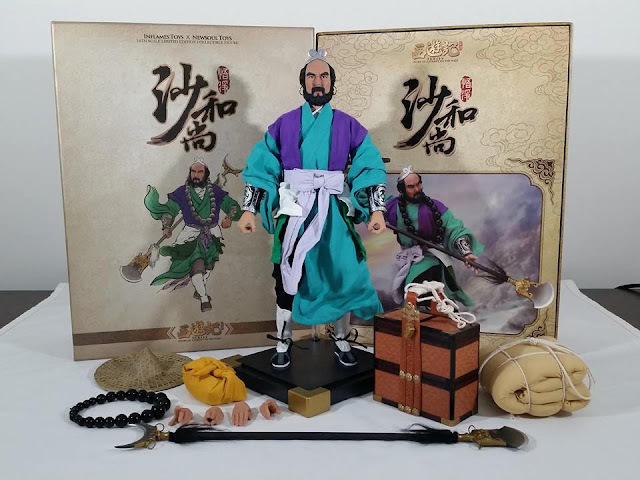 So when they announced the other characters in this troupe, starting with Sha Wujing (Sandy), I preordered straight away. And it certainly does not disappoint. In fact, I'd say it's a better release than Sun Wukong is almost every way! 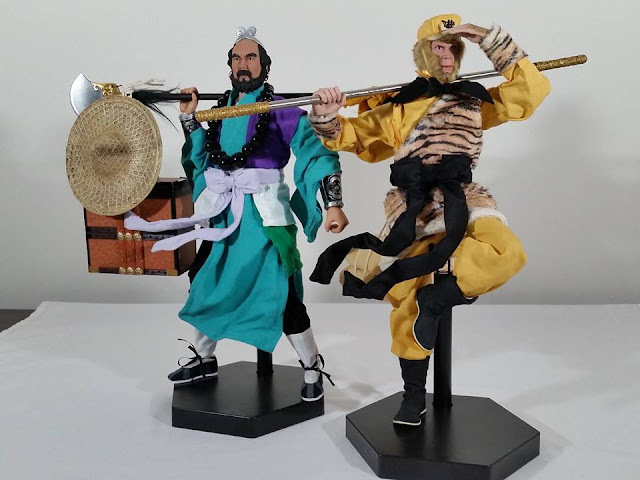 Here's my full review of this amazing figure over on the Kool Kollectibles YouTube channel. The packaging has the sort of beautiful artwork and foam protection that you see with the very best Hot Toys DX figures. And the huge array of accessories puts to shame pretty much most of what the other 1/6th scale companies put out these days, especially for the price point! 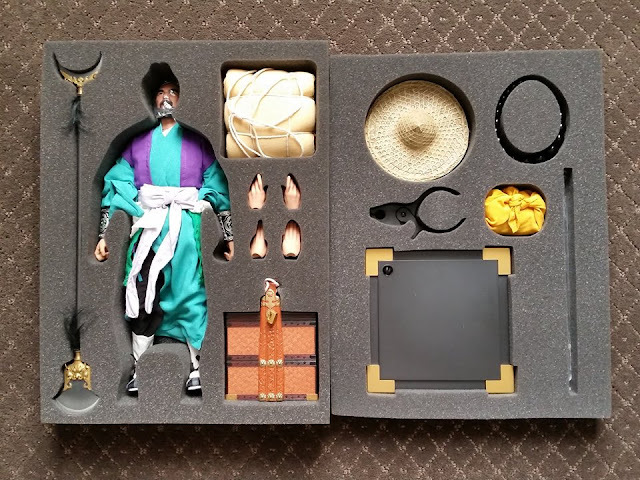 The attention to detail in the accessories is incredible. Beautiful use of materials, patterns, and paint application really showcase what a little effort can produce in this scale. 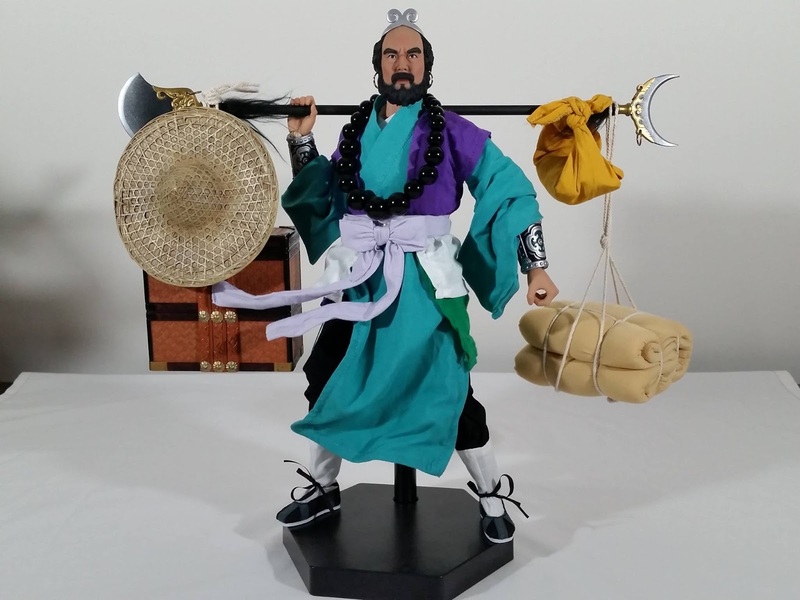 They all fit perfectly to take this figure to the next level in terms of accuracy to the TV show and its original ancient source material. 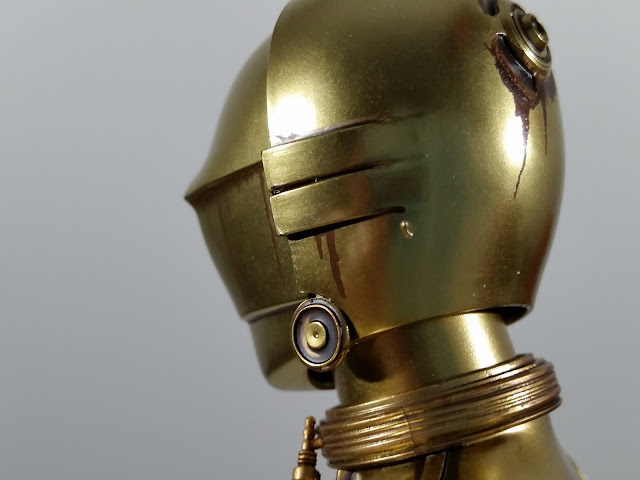 The paint app on the head sculpt does not have the realism of Hot Toys, but is certainly a step above the flat and overly dark paint apps on Sideshow figures. The sculpt itself is very accurate to the TV show actor from the 1970s/80s iconic Chinese series. The costume, as it was with Sun Wukong, is another higlight. So many layers, and beautiful use of realistic materials that just makes the figure really have some presence on display. The cloth outfit flows nicely, and certain areas and ties are aided by wires for poseability. The detailing overall is second to none, right down to the little laces on the shoes. Together with Sun Wukong, this new Sha Wujing figure simply looks incredible. Now that Inflames Toys have teased the rest of the troupe with Zhu Bajie and Tang Sanzang coming later this year (and with the White Dragon Horse no less! 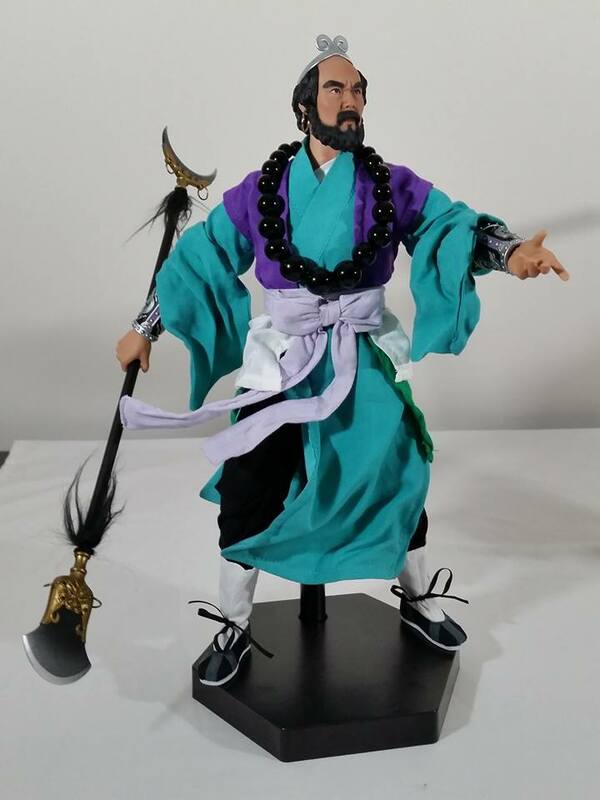 ), this will be an amazing troupe to display for any fan of Chinese mythology and literature. I for one could not be happier that these are being released in such high quality. Highly recommended! Well in mid-January 2016 the Sideshow Threepio was finally released to complement their previous R2-D2 figure. 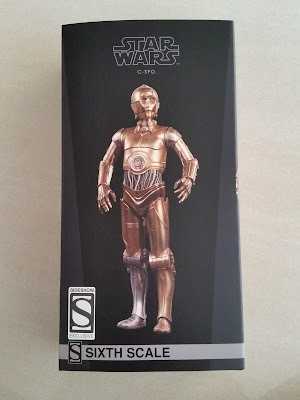 I was looking forward to getting the figure since I really did want a weathered version to go with his droid friend. 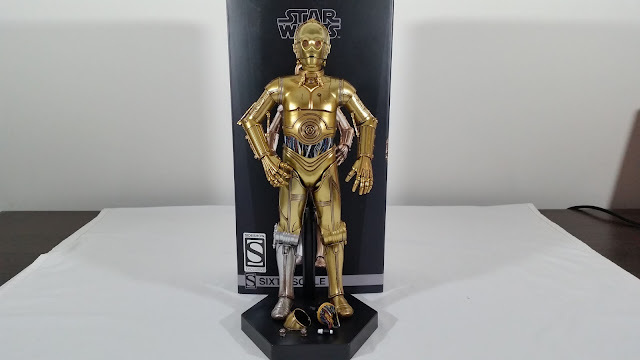 But as you'll see in the video review below, I had a few issues with some paint defects that ultimately meant I got a refund from Sideshow since they wouldn't send me a replacement. Main issues on mine were the paint marks/scratches that were not the intentional weathering effects, and also the left arm that was stuck at the joints. There were many other reports in the forums and groups regarding broken pistons. 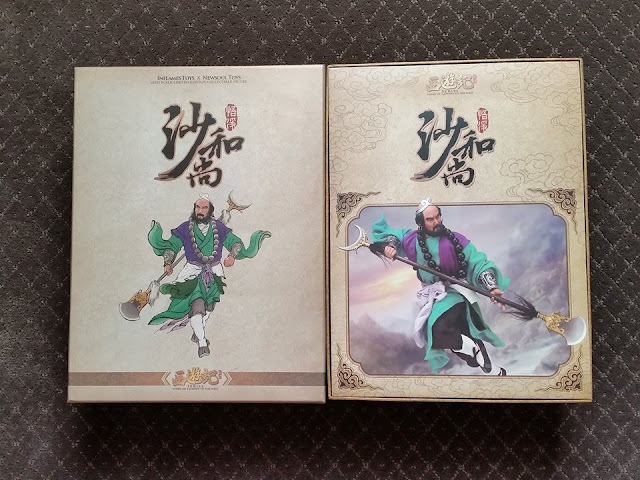 Some pics of the figure below. 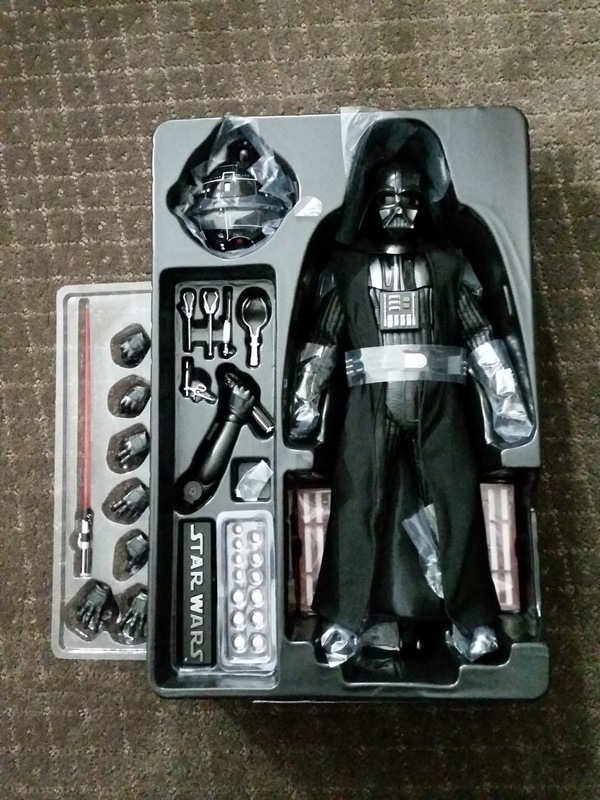 Overall it looks pretty good, especially next to Artoo. But build quality issues are what ruined it for me. I ended up having to destroy the figure and get a full refund from Sideshow. 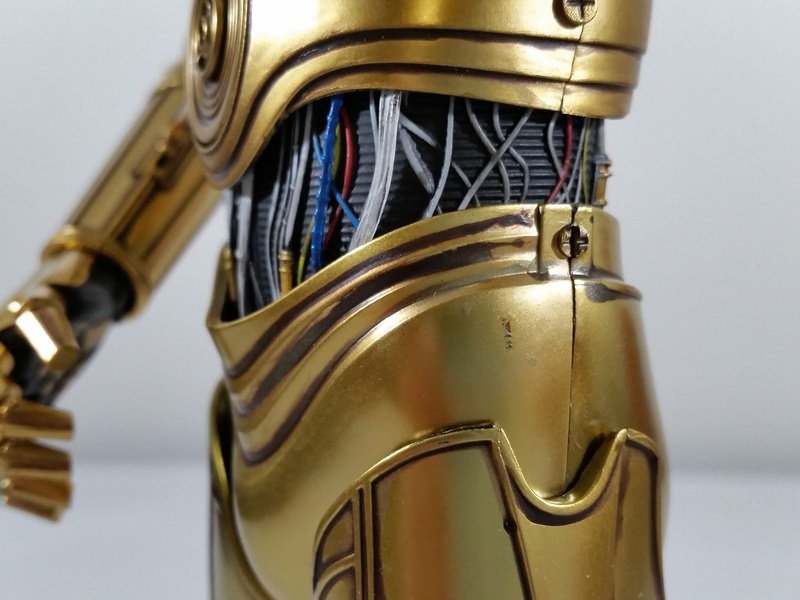 Overall in terms of build quality, the Bandai Tamashii Nations Threepio still beats the Sideshow by a wide margin. 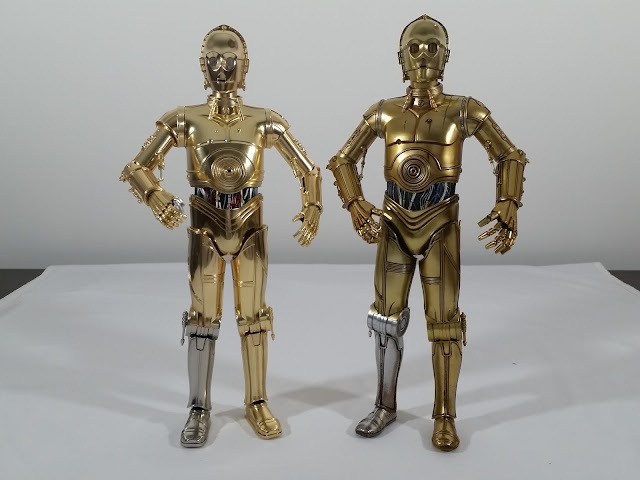 If only Bandai actually produced the diecast Artoo that they teased along with their Threepio! 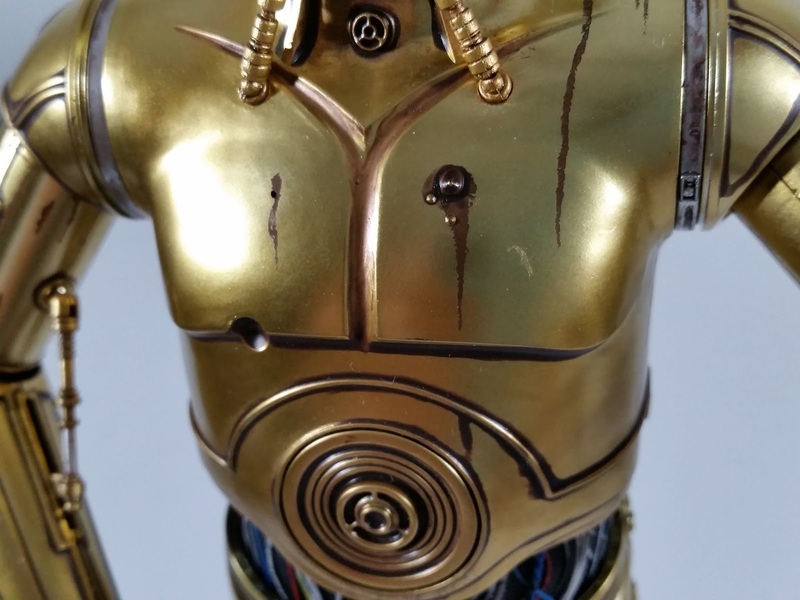 Worst defect, that annoyed the crap out of me because of how prominent it looked on display, was this weird paint scratch on his chest. At first I thought it was some weird residue, but it couldnt be rubbed off. 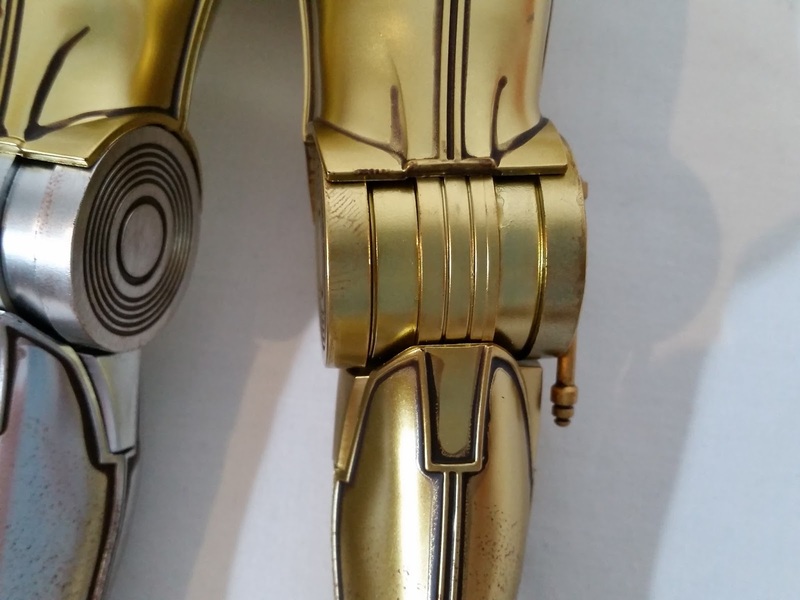 Paint scratches on the hip that affected the gold paint. Not sure what the hell that weird protrusion is on the back of his head. I hate it when I see fingerprints in paint applications on figures, especially at this high price point! 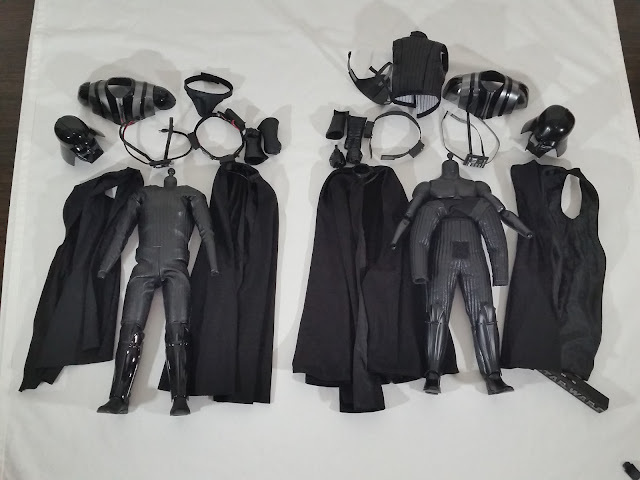 Sideshow's QC and factory production process should be better than this. In the end, a bit of a disappointment for me, especially after such a long wait. But I'll check out the sales towards the end of the year and see if I can get it at a discount cheap price. Catching up on posting summaries on the website! 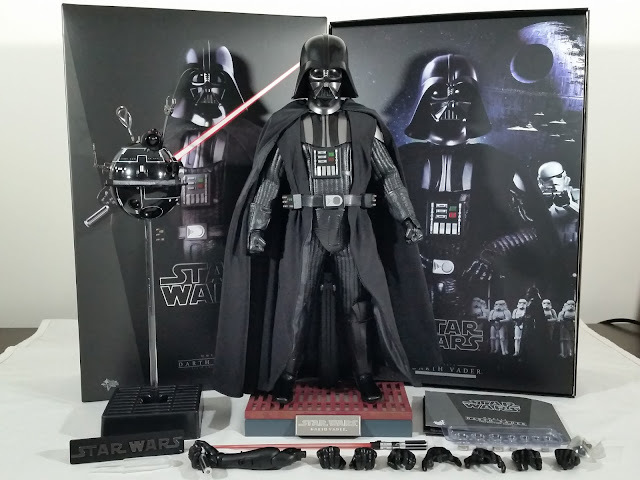 I got the new Hot Toys Darth Vader from A New Hope recently, and decided to do a full decomposition comparison with the previous Sideshow Darth Vader from Empire Strikes Back/Return of the Jedi. Normally that sort of thing scares the crap out of me, but this time I was pretty much forced down that path since the elbow on my Sideshow seemed to be stuck. So I had to undress the figure to access the underlying body to force the elbow to bend properly. And here are some pics. Overall, I have to say I prefer the new Hot Toys figure over the older Sideshow, but as you can see from the video, there are definitely design elements that I prefer on the older one too. It's actually pretty amazing how they've been able to lay out the accessories and cram so much into such a small space! Luckily no damage problems like the old Sideshow had when it was first released with lots of reports of damaged helmets. The overall package that comes with the figure is sweet indeed! 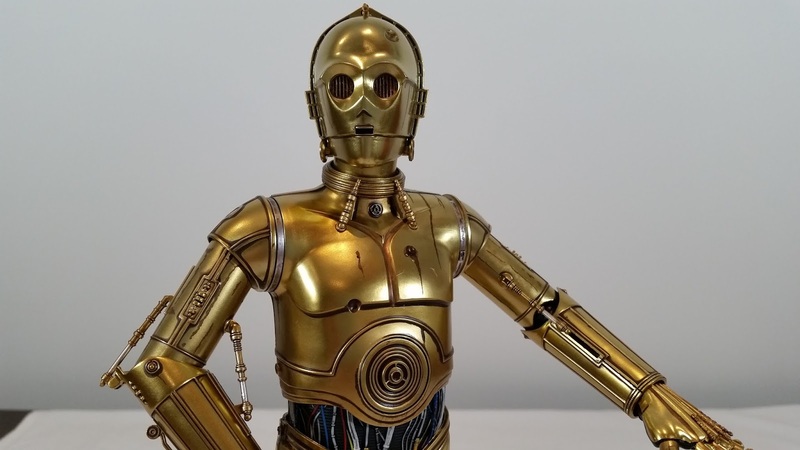 The only negative I can say about the accessories is the larger clamshell plastic base of the Interrogator Droid. 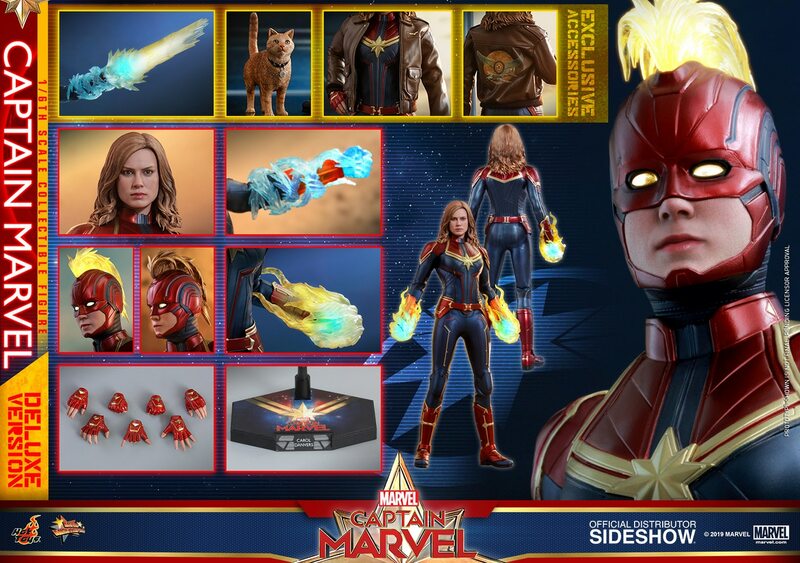 That was definitely an afterthought by Hot Toys, with terrible quality on the base. And here is a pic of the two figures (Sideshow on the left, Hot Toys on the right) fully decomposed into their parts. Definitely a lot of fun comparing the two! 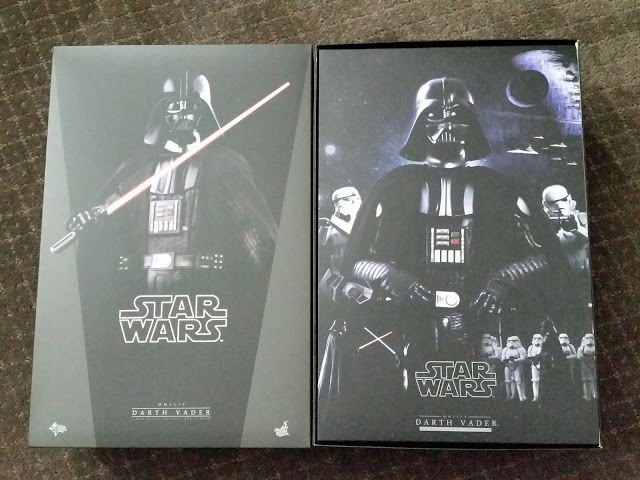 I think for Star Wars fans, you'd be happy with either figure, so pick which one you want based on the movie you prefer.